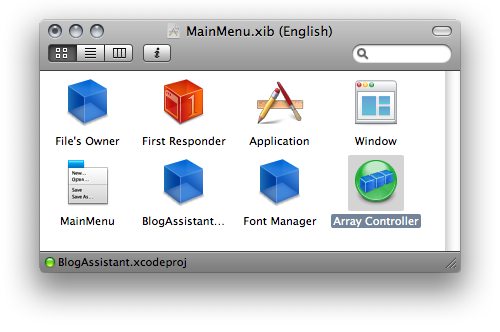 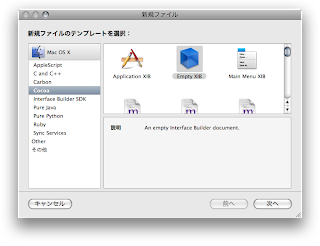 Starting in Mac OS X v10.6, you can customize an application’s Dock tile icon and menu when the application is not running. If the subclass contains instance variables that hold pointers to objects, consider overriding copyWithZone: to duplicate the objects. 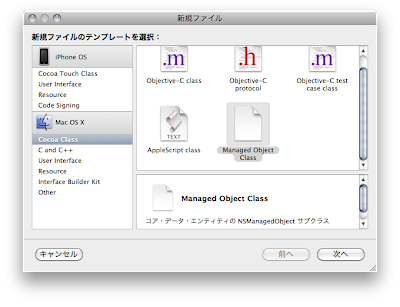 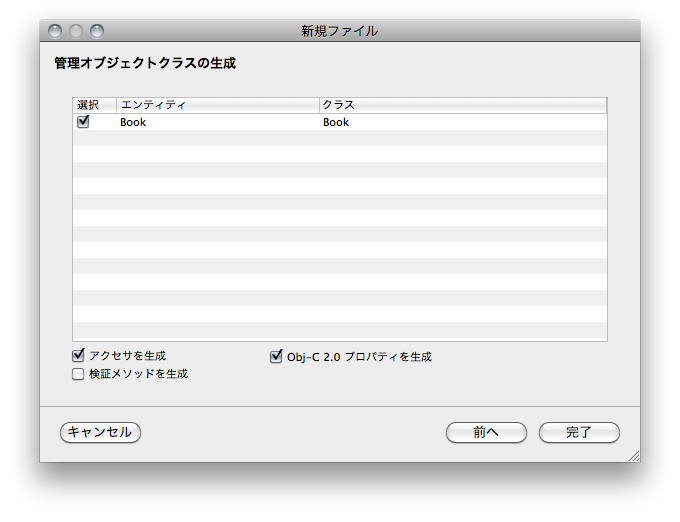 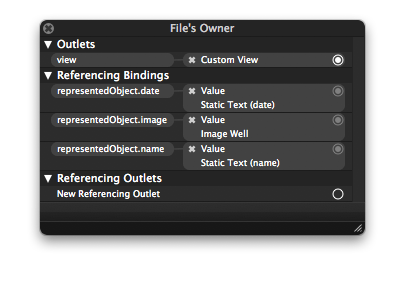 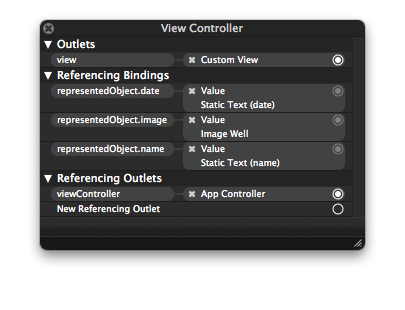 The default version copies only pointers to the objects. $ git commit -m "add"
Writing objects: 100% (2/2), 233 bytes, done. 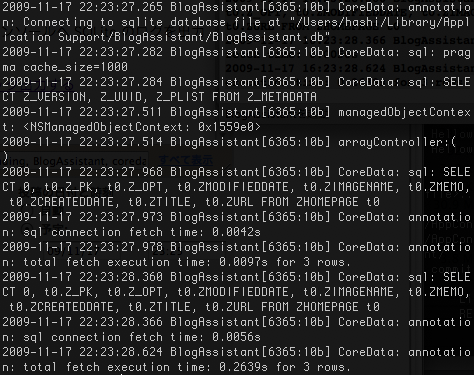 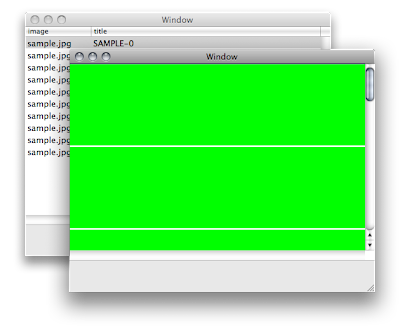 Writing objects: 100% (2/2), 225 bytes, done. 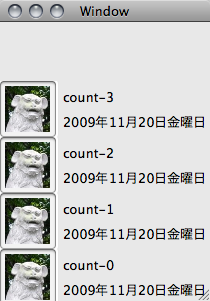 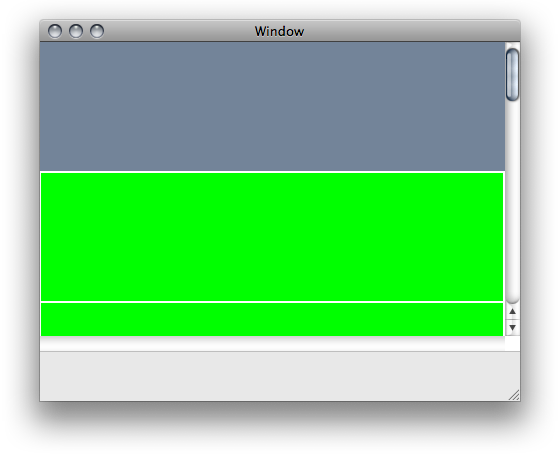 $ git commit -m "add3"
Writing objects: 100% (2/2), 227 bytes, done. $ git commit -m "del"
Writing objects: 100% (2/2), 220 bytes, done. 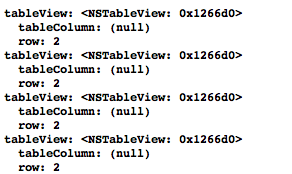 error: src refspec TAG.4 does not match any. 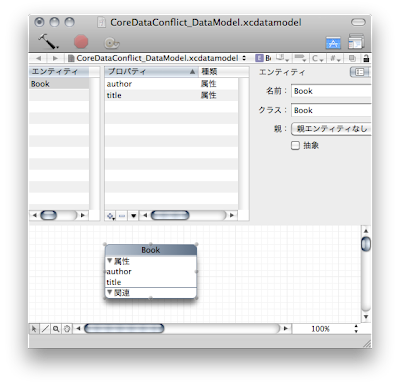 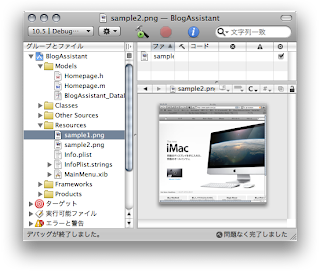 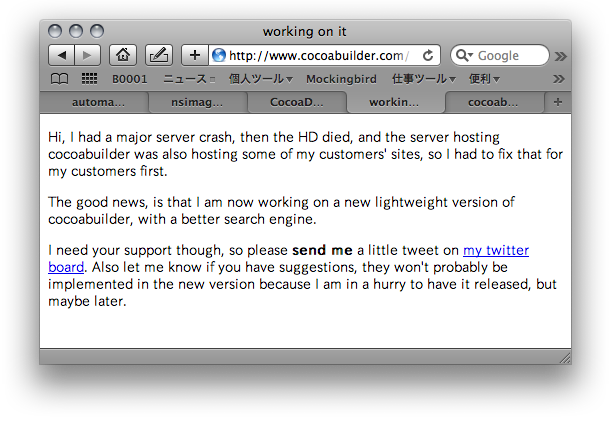 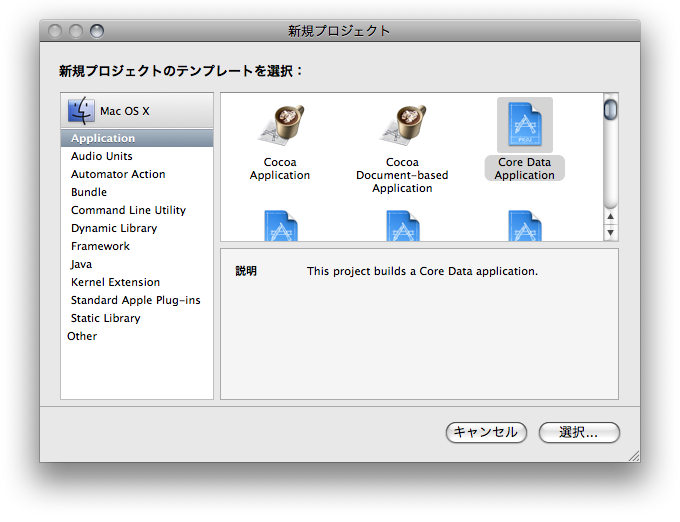 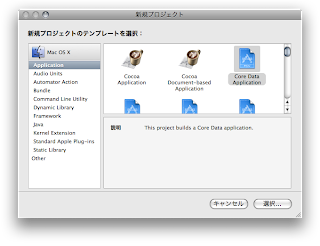 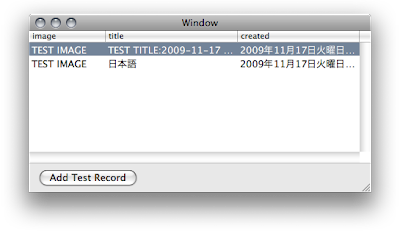 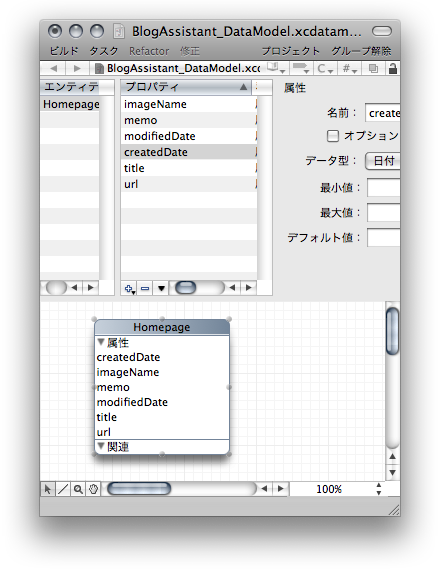 Cocoa Bindings のデバッグTips - ” is not key value coding-compliant for the key "
2009-11-21 12:25:07.548 BlogAssistant[7361:10b] [ valueForUndefinedKey:]: the entity Homepage is not key value coding-compliant for the key image.
}) 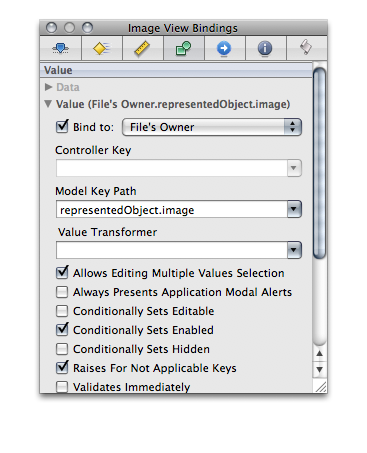 (from bound object (null)): [ valueForUndefinedKey:]: the entity Homepage is not key value coding-compliant for the key image. 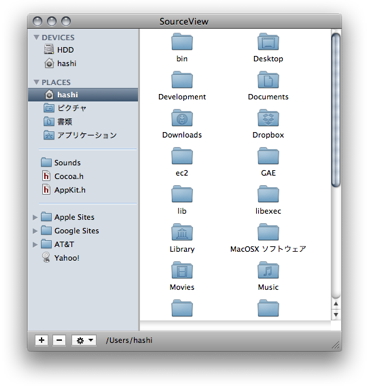 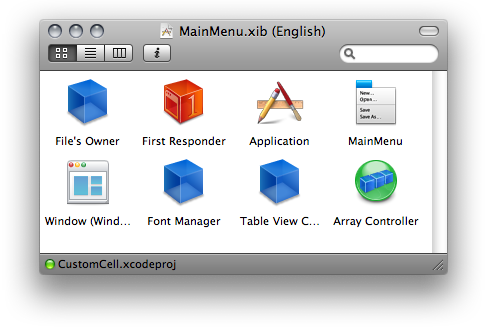 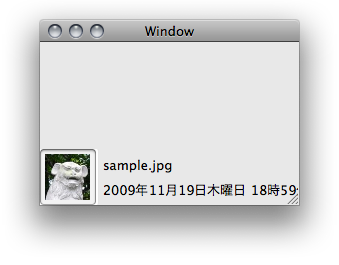 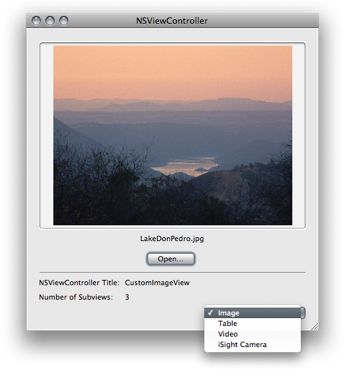 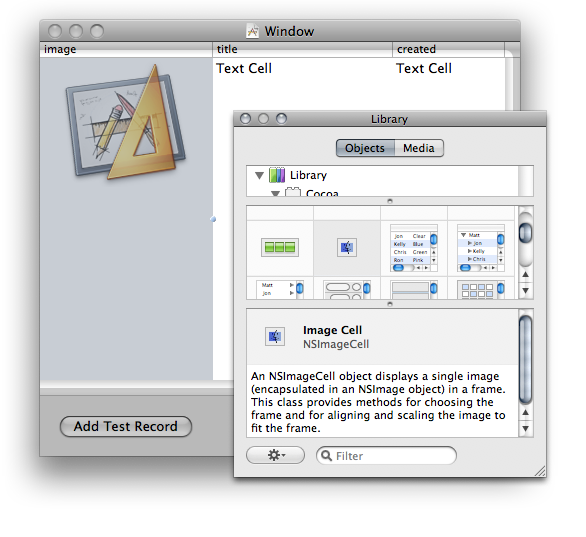 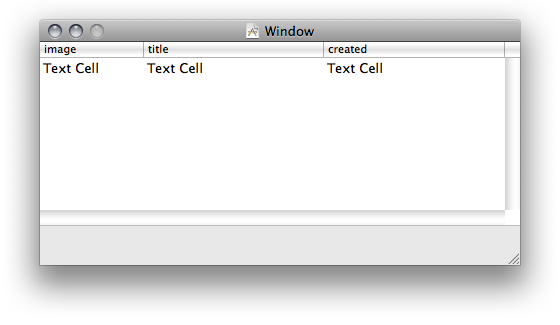 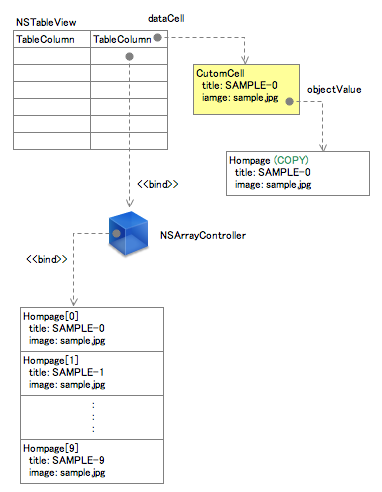 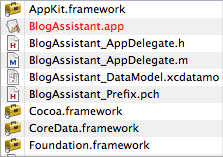 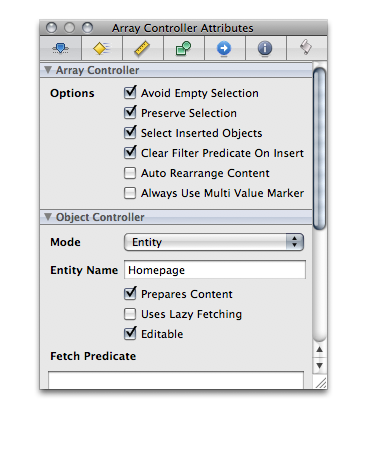 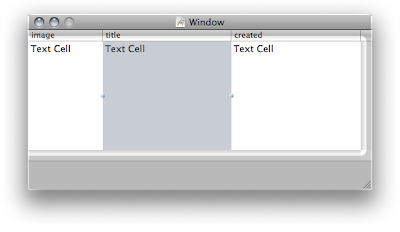 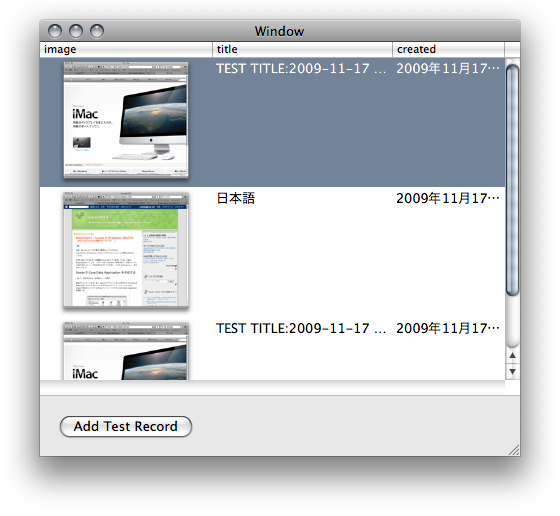 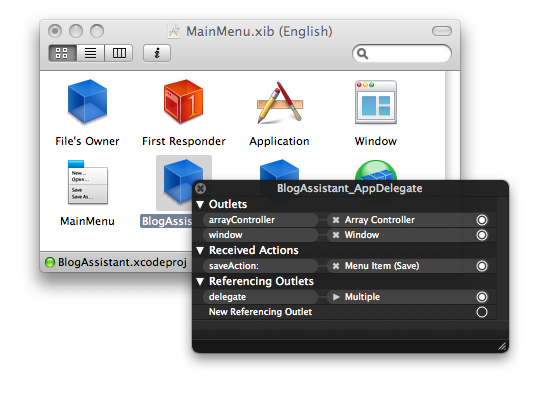 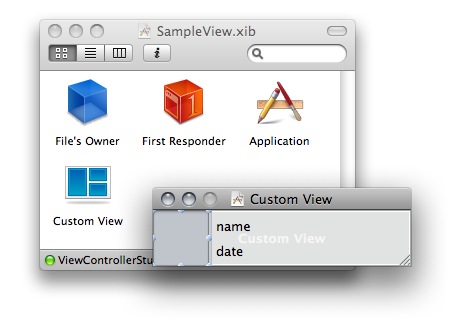 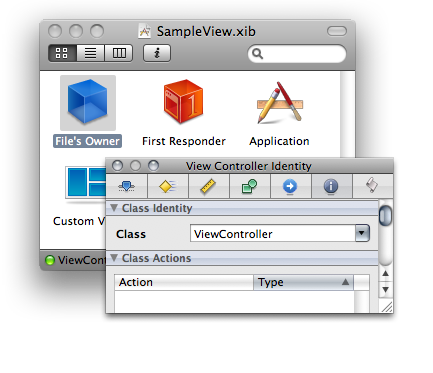 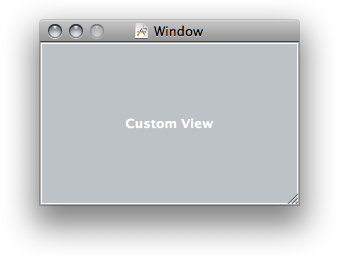 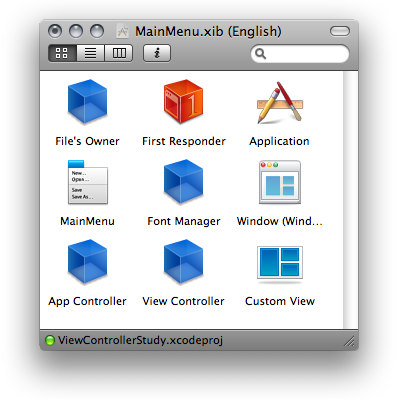 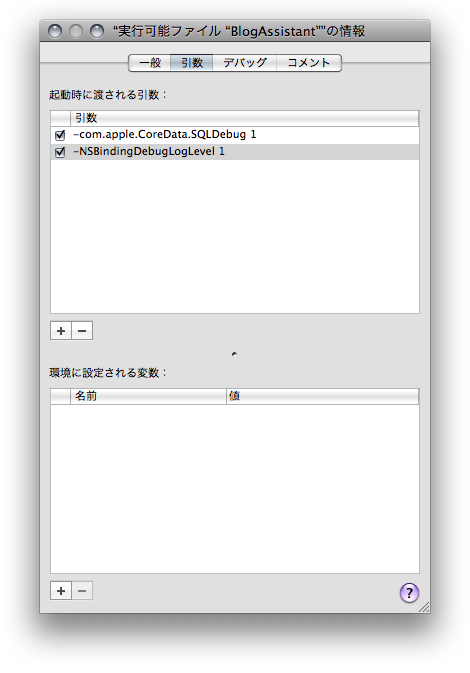 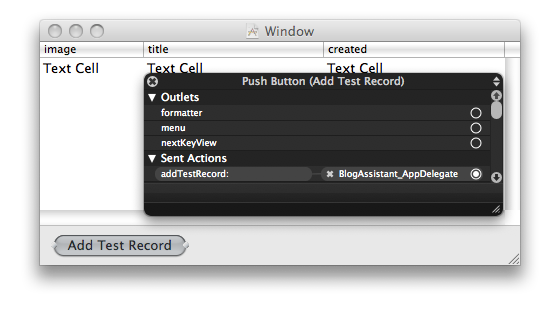 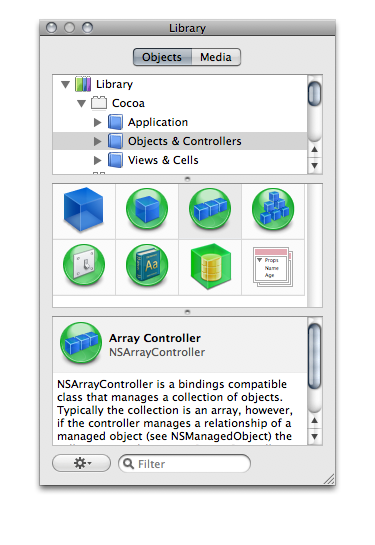 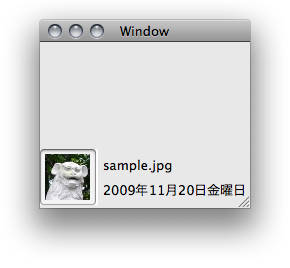 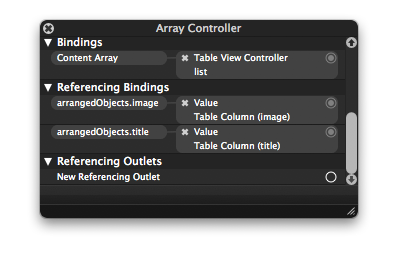 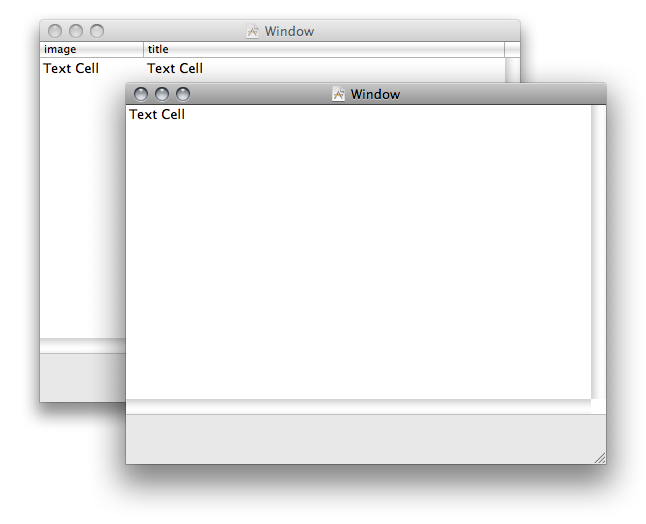 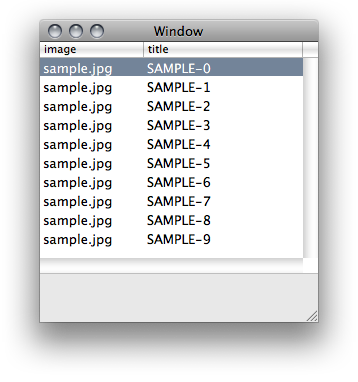 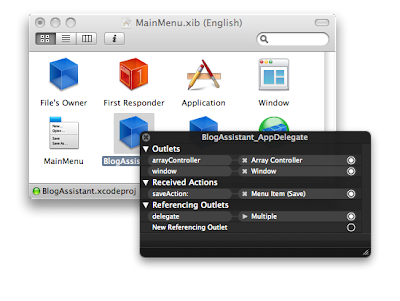 An NSViewController object manages a view, typically loaded from a nib file. 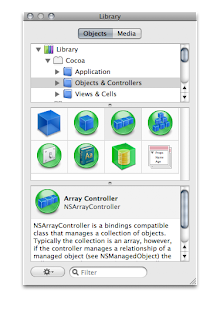 Memory management of top-level objects similar to that of the NSWindowController class, taking the same care to prevent reference cycles when controls are bound to the nib file's owner that NSWindowController began taking in Mac OS v 10.4. 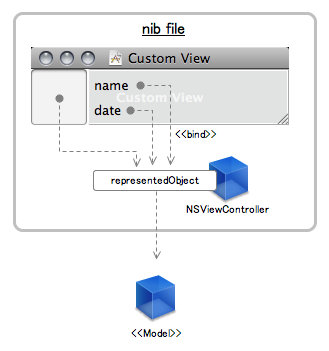 Declaring a generic representedObject property, to make it easy to establish bindings in the nib to an object that isn't yet known at nib-loading time or readily available to the code that's doing the nib loading. 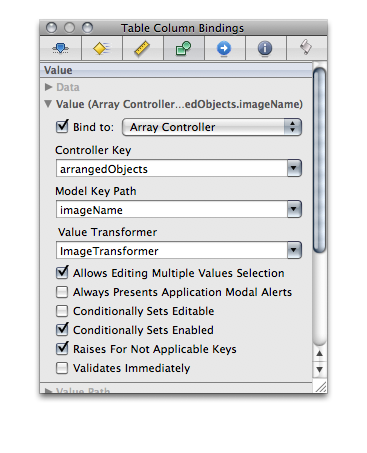 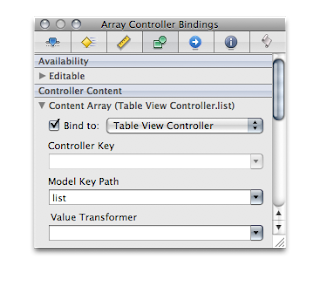 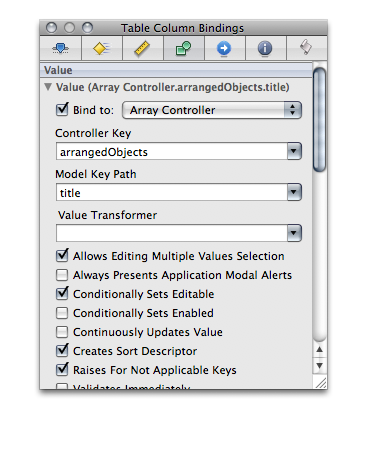 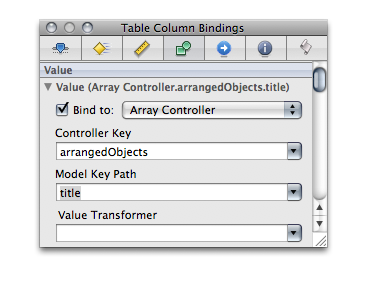 Implementing the key-value binding NSEditor informal protocol, so that applications usingNSViewController can easily make bound controls in the views commit or discard the changes the user is making. 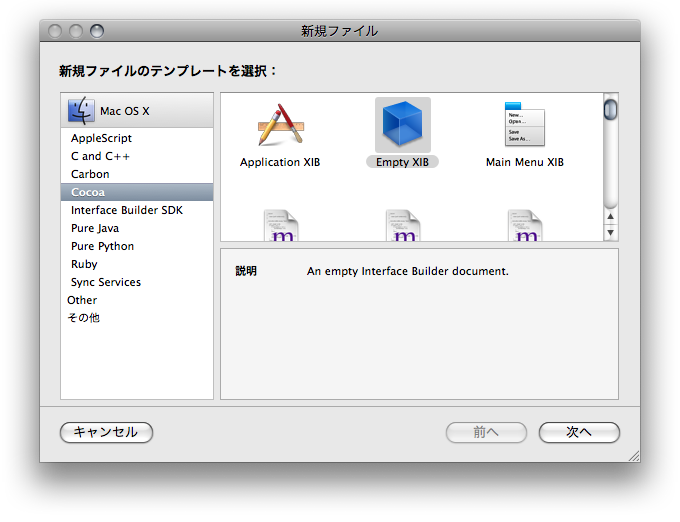 Homepage* homepage = [NSEntityDescription insertNewObjectForEntityForName:@"Homepage"